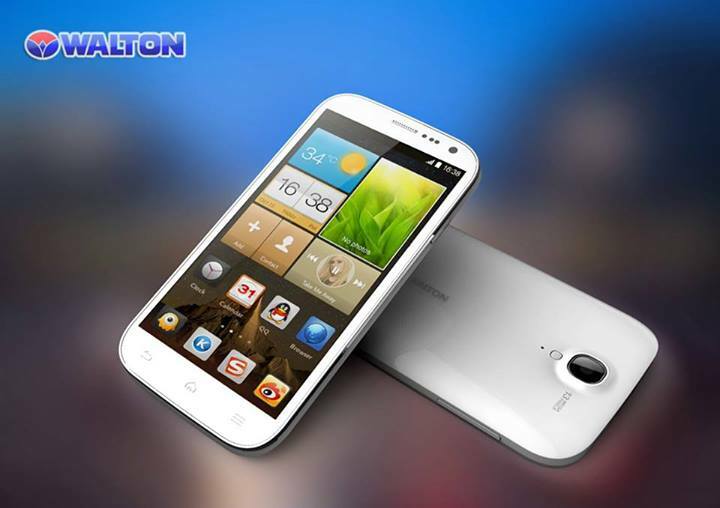 Walton is no Apple or Samsung but finally a Bangladeshi brand has posed a formidable place in the smartphone arena. The Walton line of smartphones use the same technology used in the brands that are better known; however they do assemble locally under their own brand. There’s a win right there for Bangladesh. Ashique Ahmed shares his personal user experience [VIDEO] and his own review. Hello viewers! Today I will try to review the new Walton Primo NX. After coming to the market, it has created some good response. However, some are confused whether to buy this or not; so I will help put things into perspective for the potential buyers. The specs are as follows: Display Type: IPS, Capacitive full touchscreen, 16M colors; Size: 5.3 inches, HD (1280×720) pixels; Pixel density: 277 ppi; Multitouch: Yes; Protection: Gorilla glass 1st gen; Dimensions: 152 X 77 X 9.9 mm; Weight: 189g; OS: Android OS 4.2.1 (Jelly Bean); Chipset: MediaTek MT6589; CPU: Quad-Core 1.2GHz; GPU: PowerVR SGX 544MP; Sensors: Motion sensors: Gyroscope, Accelerometer (3D), Gravity, Linear Acceleration, Orientation, Gyroscope, Light sensors, Compass; Internal Memory: ROM 4GB (user available 1GB), RAM 1GB (user available 971MB); Extra Storage: MicroSD, up to 32 GB. The specs are pretty awesome. You can’t get anything better in this price range. I am using a flip cover that is the stock cover from Walton and I really like it because once you close it, the phones locks down automatically. I really like this feature. The flip cover uses a sensor called a “Hall Effect Sensor” which is many of the sensors used by the phone and it certainly sports all of the sensors that are available in a high end smartphone today. Some people think that this uses a proximity sensor, which is wrong and the proof is, had it been a “proximity sensor”, the phone would have locked up the moment I move my finger on top of the sensor. But it does not! So, the sensor is on the side and not the top. The build quality is very good given my two weeks with it. There is generally a gap between a display and bezel which I saw in my Samsung Galaxy S. However, there is no gap in this one for which I am quite happy with the build quality. The backlit buttons are also very impressive. The rest are very typical. I have only two caveats. This phone uses a silver bezel which is a very bad thing considering you are going to use for a long time. It will certainly become discolored with time. The one in the showroom had its bezel discolored already. I noticed this very problem with my Samsung Galaxy S.
The second complain is with the power button. The button is pretty stiff. It becomes difficult with the stiffness. You may feel that it will not last long. Fortunately, since I am using the flip cover, I rarely have to use this button to lock and unlock this phone. It uses a 3000 mAh battery. I have seen that some people are complaining about the battery life but from my experience I can see that the battery life is very good considering the battery life of Android phones these days. I have been getting approximately a two day life from a full charge. Furthermore, I have a pretty intensive battery usage habit since I always connect my Bluetooth headset with this. There are some tips and tricks that can help you get much better battery life from any Android based handset. Feel free to look them up at the end of Part 2 of the reviews. This phone uses stock Android “Jelly Bean” which works for me since there are lots of free apps on the Play Store. Because it supports multitouch, you get one response from pulling down the notification bar with one finger and a different one when pulling down with two fingers. The interface is pretty fast. I don’t have any complains. I see no lag here even though there should have been some, since I am running the phone for two days straight when I made the video. I will deliberately not run any benchmark apps in my review because; in my opinion benchmarks can be manipulated in many ways which depicts a fallacious idea about the performance of a device. Instead, I will run one of the most hardware intensive games on a smartphone at this time – COD: Modern Warfare 4. The gameplay is pretty smooth if not the best. See for yourself! I have read that some people are complaining about frame skipping in another game called Real Racing 3. Again, the opinions are divided among consumers because there are those who said that Real Racing 3 worked smoothly for them. I would say this is a great phone for HD games. To be honest, the 13MP camera went way above my expectation from a brand that is local. The camera is “great” – if I have to describe it in one word. It is as good as a ‘camera phone’ can get. It is no DSLR but for a phone camera, it sports an excellent one. It has HDR, beauty shots, panorama and most features of advanced cameras of today. Observe the sharpness of the images I have taken with the camera in the videos. Also, notice the video quality. The low light performance is certainly very impressive. It is especially impressive if you use the HDR mode. I must say that the video quality is very impressive and the sound is recorded in stereo mode. The only problem is with the heating problem which is a common problem in Android phones. I have used it to record a three minute video at which point it got a little heated up. Then again, the S4 behaves the same way. The USB on the go (OTG) is a very handy feature. Those who know about it need no explanation but for those who do not, it helps connect any USB device, like a camera or flash drive to your phone. I am playing an HD movie from a USB storage device here for demonstration. It is indeed playing with ease while the USB device is plugged in. I will show you the Chrome browser. The speed is pretty good from what I am using. However, it may fluctuate depending on your carrier. But from the phones side, it is running smoothly. The 1080p Youtube videos are playing seamlessly as well. I left out some minor details in the first two videos. First is the touch response. There are phones that only respond to fingertips but not this one! You don’t need to buy a stylus to be precise because a regular pencil will do. See the video of me using a pencil as a stylus. Secondly you can capture a still image while you are making a video with this phone. Finally, given the modest price tag, this phone is excellent when it comes to features and specs. The only thing that concerns me, again, is the longevity of the phone itself. Another crucial point can be of after sales service – which I am yet to determine from Walton. If the longevity is good and the after sale service is somewhere analogous to the features, then I would conclude that the phone is a steal! The price as of October 2013 is Tk. 17990. Feel free to ask questions and leave comments.